When investing money in Facebook Ads it’s important to avoid mistakes. One of the most common is the ads overlap, a mistake that has the potential to overthrow the results of an entire campaign. Advertising on Facebook does not come without challenges. No matter your experience level, you’ll likely find yourself making mistakes from time to time. However, the one we’re here to talk about today is a real doozy. It is the one mistake that has the potential to overthrow the results of an entire campaign. It’s a problem that I see even “expert level” Facebook marketers making again and again. Today we’re here to talk about audience overlap and why you need to be doing everything in your power to avoid it. While I do see small-budget advertisers creating overlapping audiences, it’s the bigger-budget advertisers that are more prone to competing against themselves. Spending more money running more ads may seem like an effective approach, but a portion of that comfy advertising budget might be going right down the drain. No one intends to do it, but it happens more than you may think. Simply put, audience overlap is marketing to the same audience with different ad sets. The larger the overlap, the worse your campaigns will perform. Don’t waste your time and money paying for two (or more) ad sets that fight for the same audience’s attention. Audience overlap is an error that occurs when sponsoring content to two or more target audiences. Often enough, the audiences we create won’t be very different from one another. In these cases you end up paying for your ads to run against one another and the results of your advertising can be affected dramatically. To completely understand the problem, all you have to do is look at the way Facebook campaigns are structured. A campaign contains multiple ad sets that, in turn, contain your individual ads. Ads within the ad sets will automatically be competing with one another, but that’s O.K. because that’s what you create them to do. You want to display a variety of ads with the same goal to the same audience. In this way you’ll be able to test them against one another in order to judge their efficacy and refine your Facebook advertising strategy. The problem begins when you create your second and third ad sets. You already have ads competing against each other within your ad sets, so avoid creating further competition. You following along? Good. It’s time for a practical example. Let’s say your company sells sports shirts online and you create 3 different ad sets with “unique” audiences. Your first target audience was defined by interest: you know that a large portion of your customers are bodybuilders, thus create a targeted audience with an interest in bodybuilding. You create your second target audience based on the demographics of 35- to 50- year-old women, as they are known to be some of your best customers. To create your third target audience, you use Facebook’s lookalike tool. You upload your current list of customers to Facebook and it generates a lookalike audience of 1% of its users. This is an example of a very commonly structured Facebook Ads campaign, so let’s look at how the audience overlap error would likely present itself. Among those interested in bodybuilding you’ll likely find women between 35 and 50 years old. Among women 35-50 there will be those interested in bodybuilding. As many of your clients will be similar, your lookalike audience will contain both women 35-50 and people interested in bodybuilding. When you advertise against yourself, the cost to reach your audiences increases and the frequency that your ads are displayed is limited. The result is paying more for fewer results and, well, that’s not good marketing. Keep from paying to advertise against yourself and you’ll see your ROI improve dramatically. Facebook has recently released an awesome tool to help you determine whether there is an overlap in your target audiences. You can find it in the Ads Manager, under Tools -> Audience. If you’re working with Power Editor, you’ll simply click on the “Audiences” tab. Be sure to give a specific name to each of your audiences. This will bring you to Facebook’s tool for controlling audience superposition (audience overlap). This important tool makes it possible to control the overlap of up to 5 audience groups at a time. The audience you select first will be the one on which it will compare the others. To add the audience(s) you want to compare, click “Add Another Audience” and enter or select any audience(s) that have a potential for overlap. Facebook will proceed to display Venn diagrams that provide you with the amount of overlap between the first audience and each additional audience, as well as the percentage of overlap and the number of people overlapping. NOTE: The fact that two or more audiences are overlapping is not necessarily a bad thing; the important factor to analyze is whether or not they will be competing with each other in the ads. The capabilities of this instrument should be clear. 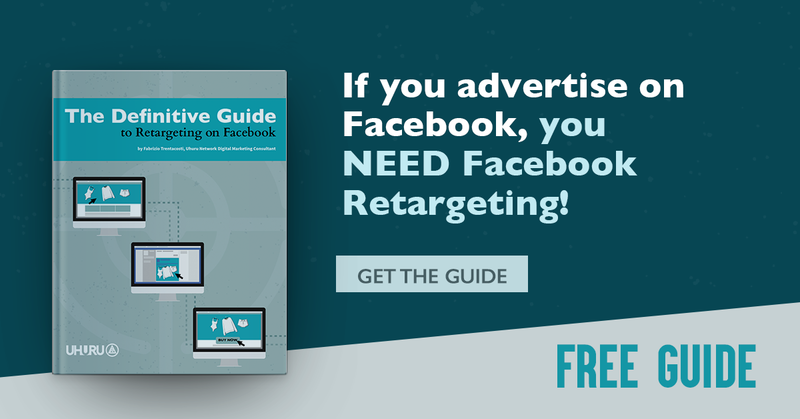 It can be used in a variety of ways and it’s an excellent resource for all Facebook marketers. To protect the privacy of people on Facebook, we don’t share data for audiences of fewer than 1,000 people. Regroup overlapping ads into fewer ad sets – If ads under different ad sets are targeting the same audience, keep them from competing against one another by compiling them into a single ad set. Refine your targeting – You can use a more detailed targeting approach to exclude certain interests/behaviors/demographics and refine different aspects of your targeting for each ad set. There you have it. With a few simple tweaks to your existing ad strategy you’ll be able to avoid paying more and receiving less. Plus, you’ll be able to ensure the optimal publication of your ads without the chatter of your own competition getting in the way. Now, that’s something we can all get behind! That’s exactly what I am doing, I am going to refine and separate the audiences as the overlap % is HUGE! We don’t want that. I knew this was a no-go but I still searched for a reason for it and your post answered just that. THANKS!